The wine recommendations for September 2010 are signaling the last few precious days of summer, and also the exiting harvest to come! September brings with it a heavy doze of mixed emptions. On the one hand we see summer coming to an end; those lazy days and starry nights will soon be gone. On the other, we can feel the excitement of harvest time. 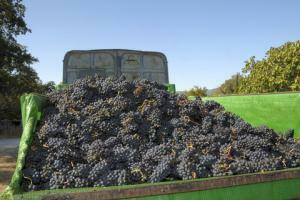 The vineyards are bursting with fruit, and the wineries are gearing up for the busiest time of the year. It is also a time of hope and possibility. It is very much like baseball spring training, when every team dreams of the World Series. 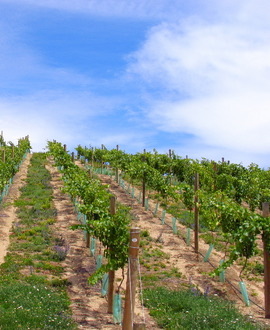 Similarly the winemaker dreams of a wonderful harvest, and the promise of great wines to come! The wines we found are excellent quality at very good prices. They come from various countries; and they are an interesting look at winemaking from Argentina to Greece! Explore and enjoy the wine recommendations for September 2010! Efeste Riesling Columbia Valley Evergreen Vineyard Evergreen 2009. Think of citrus, think of flowers, think of pears, and add a dash of pepper! Just a beautiful wine. Score of 90, $18.00 USD. Washington State. Avignonesi Sauvignon Cortona 2009, Another beauty, this one will remind you of the tropics. Mango, pineapple, citrus. Crisp and flinty. Score of 90, $15.00. Italy. Bacalhoa Península de Setúbal JP Azeitao White 2009 Notes of crispy apples and herbs. Score of 89, $9.00. Portugal. Viña Morandé Chardonnay Casablanca Valley Gran Reserva 2008. Creamy texture, with notes of apples and figs. Score of 88, $17.00 USD. Chile. Koutsoyiannopoulos Santorini 2009 Talk about peaches and cream! Add a note of apple and a bit of citrus and you have a spectacular wine! Score of 91, $19.00 USD. Greece. Bodegas Beronia Rioja Reserva 2005 Currant, cherry, and licorice play great together and lets a little smoke get to your head! Just lovely. Score of 91, $19.00 USD. Spain. Villa Pillo Toscana Borgoforte 2008 A full-bodied wine with a velvety touch! Notes of cherry and berries. Score of 88. $12.00 USD. Italy. Domaine de la Chanteleuseire Bourgueil Cuvée Alouettes 2008 Fresh and gorgeious! Notes of cherry, currant, and a bit of minerals. Score of 90, $16.00 USD. France. Bodegas in Viñedos O. Fournier Malbec Unco Valley Urban 2009. A feast of berries and licorice! Very nice. Score of 88, $11.00 USD. Argentina. Bodegas Burgo Viejo Rioja Crianza 2005. Notes of chocolate, cherries, figs, and licorice. Firm tannins yet crisp. Score of 89, $13.00 USD. Spain.